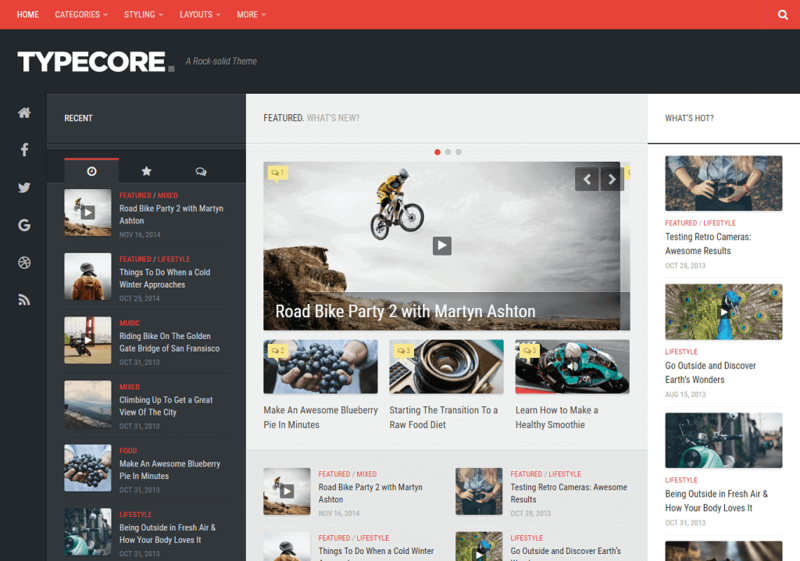 Typecore is elegant and responsive WordPress theme for blogs and magazines. Unique toggle sidebars give a great browsing and reading experience on both tablet and mobile. Typecore provides multiple features to its users like Unlimited topbar, header, footer and accent colors, unlimited widget areas, 0-2 sidebars to the left or right that can be uniquely specified for each page or post, 300px / 220px fixed width sidebars, 0-4 footer widget columns, almost zero layout images, related posts and post nav, featured story or slider, 10 post formats, good SEO, 2 flexible custom widgets, localisation support, social links, logo upload and many more useful admin panel features. So if you are searching for any blog or magazines theme then you are at a right place because Typecore provides you all those things which you are searching for your next blog or magazines theme. Typecore is fully high resolution and responsive theme which supports all type of devices from desktop to mobile. So Typecore is really grate choice for you to make any blog or magazines theme.